Originally published on July 26, 2018, in Accounting Today. The Internal Revenue Service now has the data to begin the analysis to calculate the potential penalties for tax year 2016 to be assessed against those organizations determined not to be in compliance with the ACA, according to the March 2018 report from the Treasury Inspector General for Tax Administration on the Affordable Care Act. 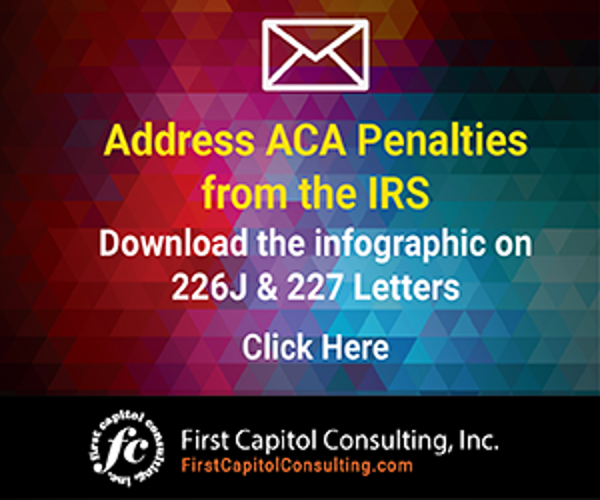 Since November 2017, the IRS has issued more than 30,000 Letter 226J notices containing penalty assessments of about $4.4 billion to employers for failing to comply with the employer mandate, also known as the Employee Shared Responsibility Payment. According to the latest TIGTA report, the IRS identified 318,296 organizations that qualified as applicable large employers. ALEs are organizations with 50 or more full-time employees and full-time equivalent employees that are required to offer minimum essential coverage to their full-time workforce (and their dependents), whereby such coverage meets minimum value and is affordable for the employee or be subject to IRC Section 4980H penalties. Of the organizations that the IRS identified as ALEs, TIGTA reports that 49,259 are at risk for compliance action by the IRS. Employers who have not yet received a 2015 Letter 226J notice should not breathe a sigh of relief, however. There are still more to come. Of even more interest is that the IRS is preparing to issue Letter 226J penalty notices to ALEs for the 2016 tax year. We can assume the agency also will enforce the ACA for the 2017 tax year and beyond. TIGTA reports that the IRS has spent over $2.8 million to improve the process for identifying, calculating and processing ALEs that are not in compliance with the ESRP. This is something to be sure your clients understand: Anticipate that the IRS is better prepared to identify organizations that are not complying with the ACA than during the initial enforcement actions for 2015. For instance, for tax year 2015, the IRS indicated that once potentially liable employers were identified, a computer program would select at random particular organizations to investigate with no regard to the dollar value of the potential ESRP amount. TIGTA indicates that going forward, the IRS will not be selecting employers at random. Instead, the IRS will begin to audit non-compliant organizations, on a “highest value of work” basis using their automated ACA Compliance Validation System, as well as other data points. ALEs also should anticipate a greater regulatory burden to demonstrate ACA compliance. For example, for 2015, ALEs had to offer minimum essential coverage to at least 70 percent of their full-time workforce (and their dependents) whereby such coverage meets minimum value and is affordable for the employee or be subject to Section 4980H penalties. That coverage threshold increased to 95 percent for 2016 and beyond. What this boils down to is this: If your clients thought they were getting a pass for not complying with the ACA’s employer mandate because they had not received Letter 226J from the IRS, you may want to explain the potential folly of this position. From what I can tell, the enforcement process for 2015 was a “test run.” Expect the IRS processes for identifying ACA non-compliance to become more robust, not less. While for some employers, checking certain boxes as a corrective to address an ACA penalty assessment may have worked for the 2015 tax year response to Letter 226J, those easy fixes are not going to be available to address non-compliance for tax years 2016 and onward. Requirements for complying with the ACA are more stringent for those tax years. And the IRS is getting better at ACA enforcement. According to the TIGTA report, IRS management has been using the new ESRP case selection methodology to gather data to analyze all segments of the population to assist in future case analysis, selection, and assignment. TIGTA said this will allow the IRS to use the data gathered from working the tax year 2015 cases to further refine case selection methodologies and increase the probability for subsequent tax year case selections to include those with the highest compliance impact. 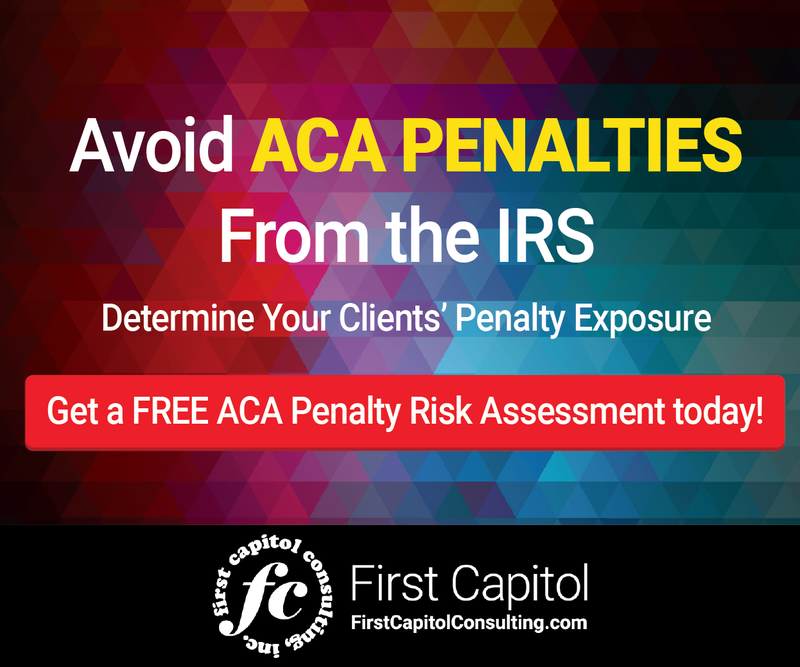 As you prepare for what’s to come, you may want to encourage your clients to let you assess their potential risk of receiving IRS penalties for not complying with the ACA. Consider undertaking a spot audit of clients’ IRS information filings for 2015, 2016 and 2017. Many outside vendors will work with your firms to provide such a service for your clients at no cost. It’s time for CPAs to make sure their clients understand that this enforcement action is not going away anytime soon, and the potential risk that inaction may pose to their financial bottom line. Recent IRS actions indicate that the ACA is not going away and employers should be prepared for the IRS to continue to issue more ACA non-compliance penalties for the 2015 reporting year.